Born and raised on a ranch in Nebraska, Larry Fleming learned that there was a better method to start a young horse than “breaking it”. 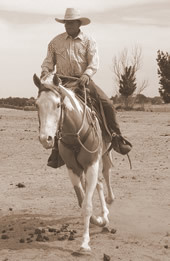 Using both self experience and knowledge gained from other well known horsemen, Larry has become one of the top horse trainers utilizing “natural horsemanship”, along Colorado’s Front Range. In the past 28 years, Larry has started hundred’s of young horses. From Warmbloods to Mustangs, Registered to Grade, Larry has worked with them all. Not only does he specialize in starting and gentling young horses, but he also specializes in helping older horses overcome problems with gentleness, patience and understanding. 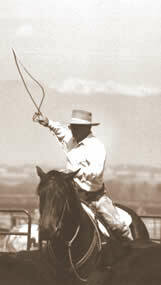 Call Larry today to discuss your Horse Training needs at 303-536-4455.